Now, I want a Remy character dining experience! But I don’t want him rotating around from table to table, like at Chef Mickey’s…I want him popping out randomly from under your food. A little extra magic on your plate, n’est-ce pas? I have to admit, I didn’t even notice the smoking when I was there, in September 2005. Maybe this is because I’d just gotten used to the smokers all over Paris, or maybe because there were so many other cultural dissimilarities that the smoking just faded into the noise. DLRP Today has an interesting “premiere” ridethrough video of the Disney Studios Paris version of the Tower of Terror, scheduled to begin soft openings shortly (if it hasn’t already). Nothing surprising to those who’ve ridden ToT at other parks, but the view from the top floor is pretty nice. Hong Kong Disneyland said Tuesday it recorded double- digit growth in mainland Chinese visitors last month, but it was unclear if it can boost business enough to keep banks happy with current lending arrangements. Bill Ernest told reporters. “We are expecting solid performance all summer.” Hong Kong Disneyland, owned 43% by Walt Disney Co. (DIS) and 57% by Hong Kong’s government, declined to say how many visitors it has attracted, though executives said mainland Chinese account for 30% to 50% of the total. The park has twice missed performance targets set by its lenders and it acknowledged in May the banks could withhold future funding if it fails to meet those targets, which are linked to a US$294 million commercial loan and a line of credit that hasn’t been used. We’ve heard that the Disney board are due to meet in the next week to determine whether to approve the remodelling plan for DCA. However a separate plan for Hong Kong Disneyland is to be presented in the same session and is competing for the same available resources. There is a possibility that the board could approve both but split the available capital accordingly. It seems that Jay Rasulo has a perference [sic] for concentrating on DCA initially but Bob Iger has an eye on improving the fortunes of the Company in China. Might not be a coincidence that these two stories came up around the same time. 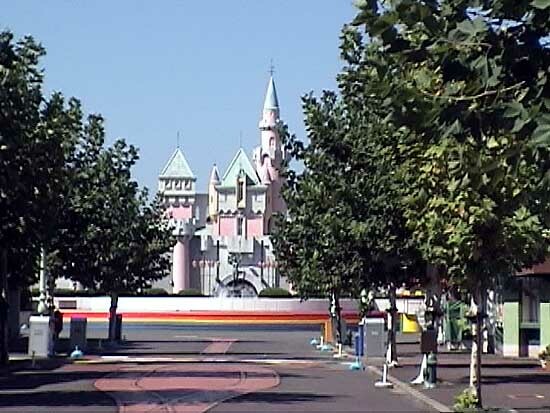 Certainly the argument for improvements and expansions to Hong Kong Disneyland becomes even stronger if the park is seeing a badly-needed surge of attendance; the park doesn’t yet have a sufficient number of attractions to keep Guests occupied. And given Disney’s apparent eye on long-term strategies in China, they should want to strengthen that park, even at the expense of the much-maligned Disney’s California Adventure.